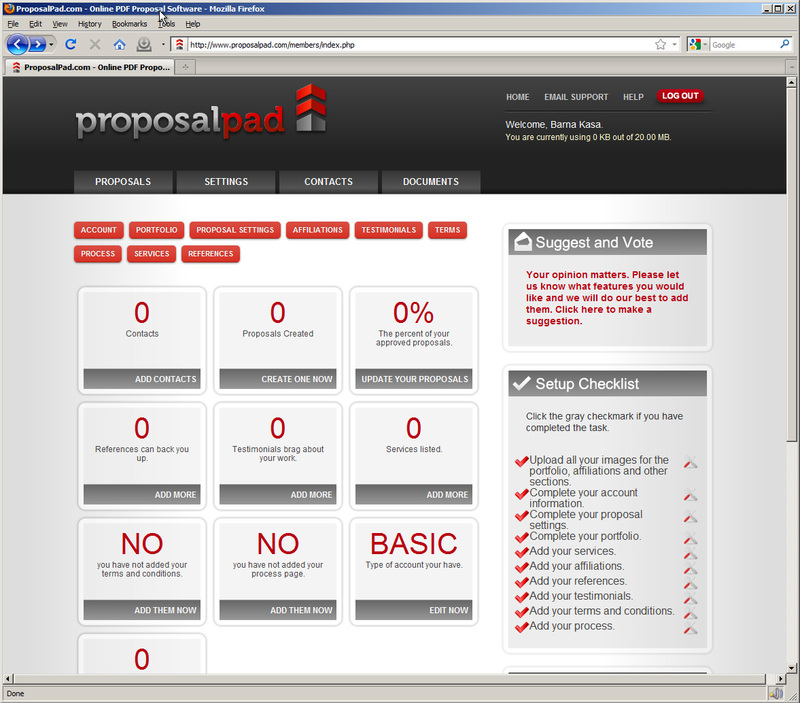 ProposalPad offers a quick and easy way to create proposals online. The settings dashboard lets you know exactly where you stand. How many testimonials, references you have listed and what percentage of your proposals have been accepted. Manage all of your contacts in one place. You can even import your contact list from other applications to prevent too much additional work. 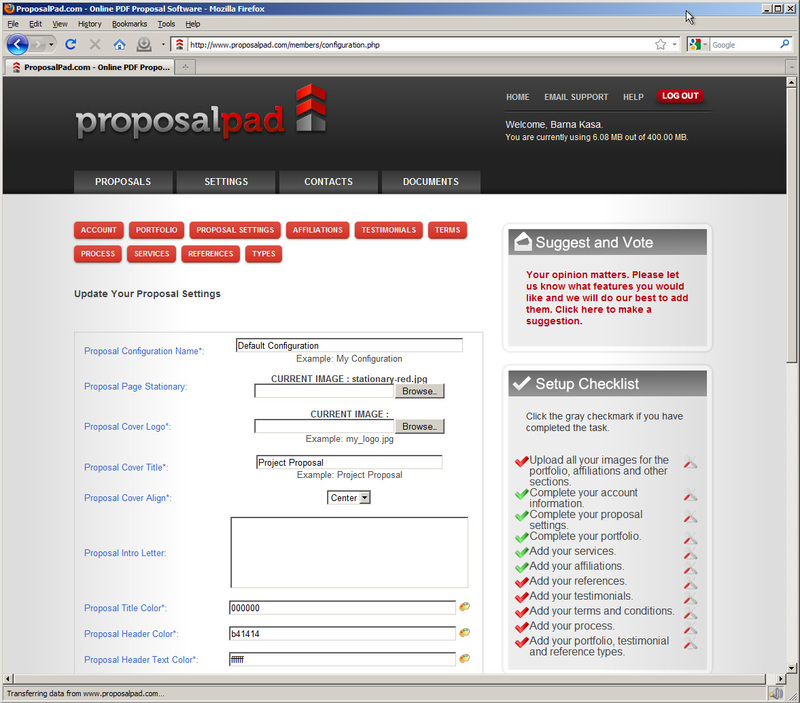 Configure your proposal settings just once or create multiple configuration files for different types of proposals. You can even upload your existing stationary/letterhead to make your branding consistent. Side-by-side before and after images. 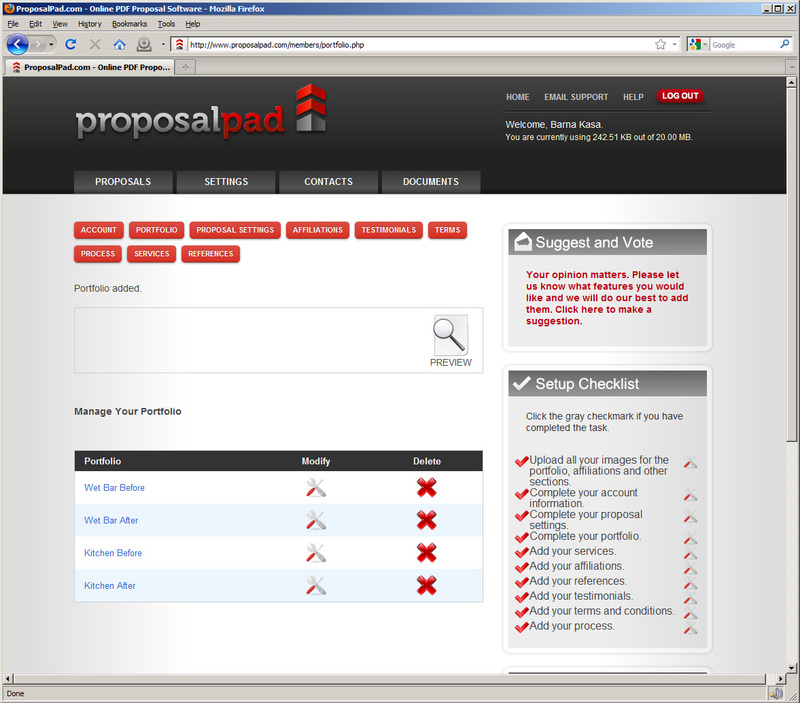 Your customers can pick up their proposals through our website, the ProposalPad widget you can put on your website or a link you email out. 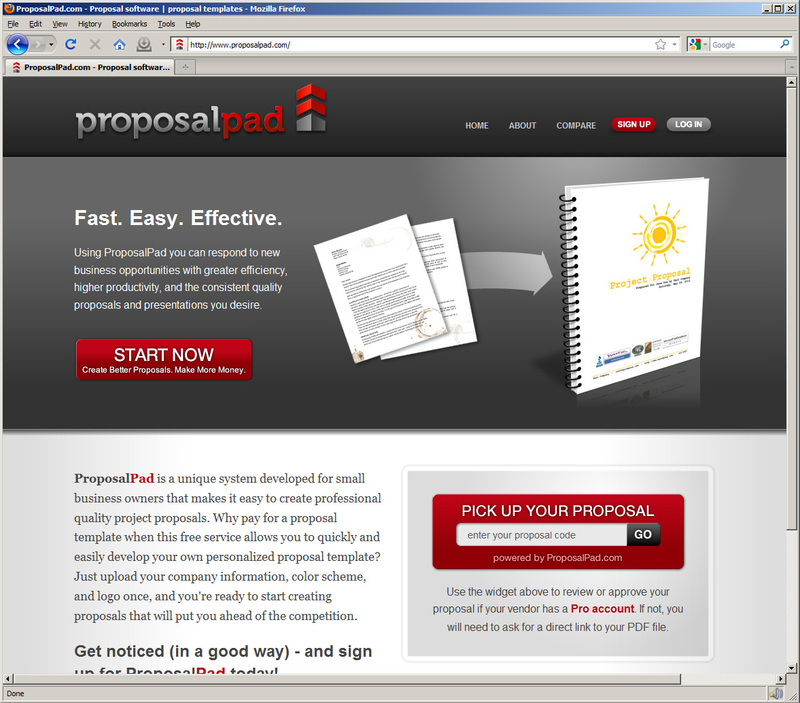 You can also download the proposals in PDF format and email or print for in-person presentations. 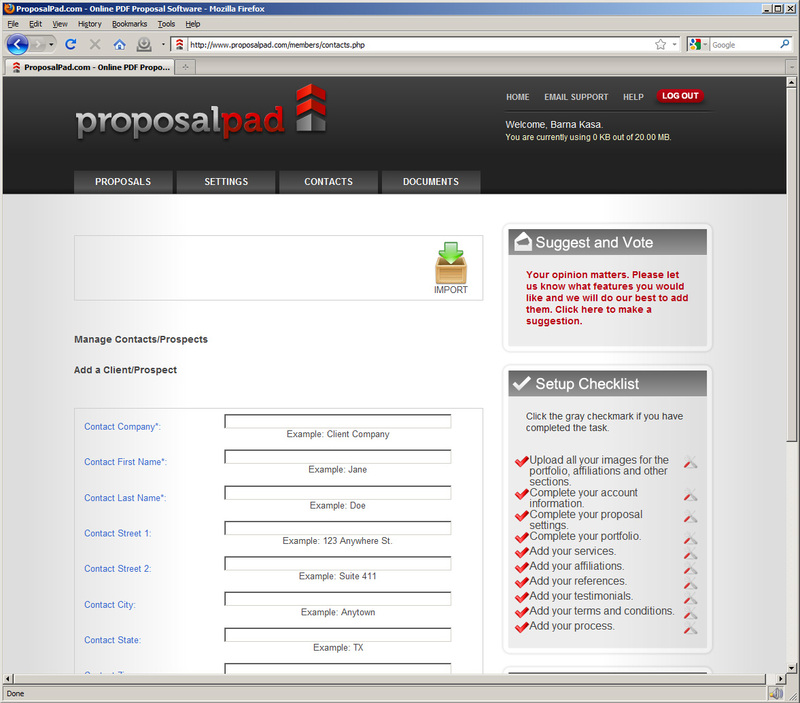 With this many options your customers will always get your proposal. 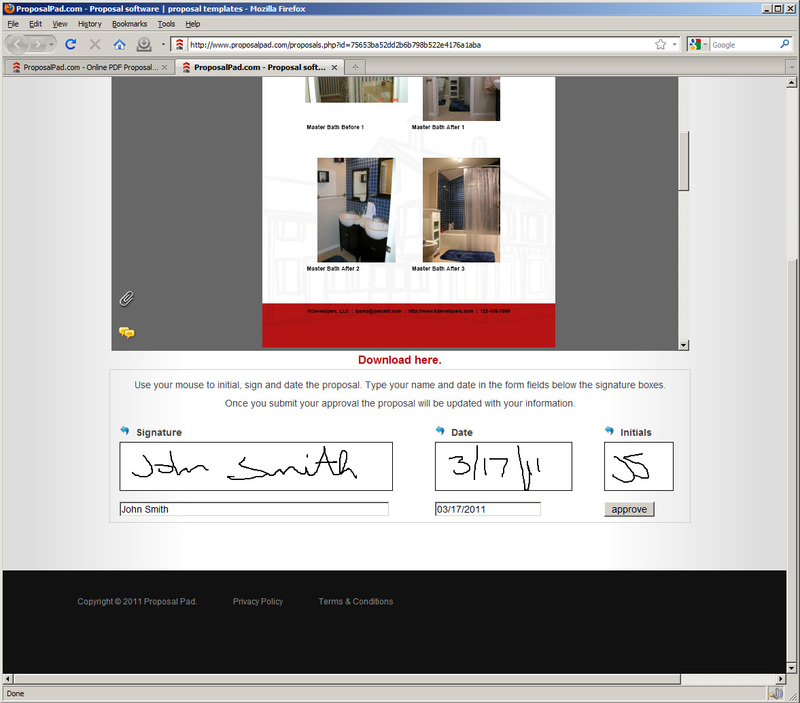 Get actual signatures from your customers on your proposals. This feature is priceless when it comes to making sure your documents are properly approved. 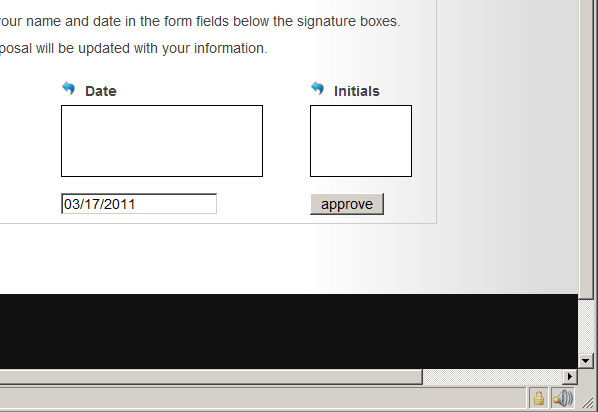 Once your proposal is approved the signature is embedded in your PDF proposal. Security is our priority. From the moment you log in your connection is secured. We also secure the connection when your customers view and approve your proposals.